Lighting WEEE compliance scheme Recolight has announced a major milestone, having funded the recycling of 300 million fluorescent and LED lamps and luminaires since the WEEE regulations were implemented in 2007. Recolight has the only dedicated open collection point network for consumer and business waste fluorescent and LED lamps. 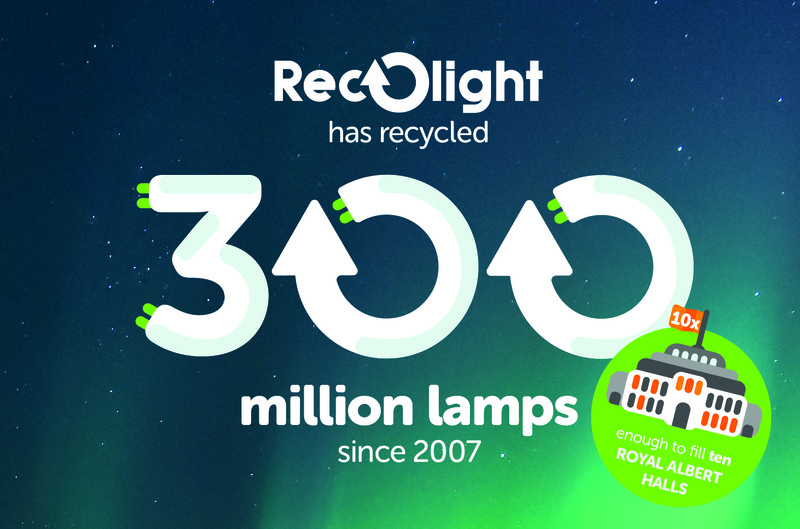 With 3,000 collection points, the Recolight network contributes to the continuing increase in the UK’s lamp recycling rate – up from 39.5% in 2012 to 48.5% in 2017. Recolight has extended their recycling service to collect more waste electricals covered by the WEEE regulations.